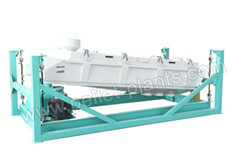 5t/h pesticide pellet plant is designed for large and medium sized pesticide factory or industry for pest control. 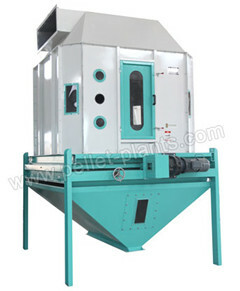 We are always ready to customize complete pesticide pellet line for any size. 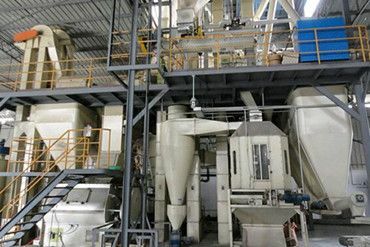 Pesticide pellet production line, a process of turn raw materials into pesticide pellets for pest control, is similar to complete feed pellet plant from crushing to packaging. Our 5t/h pesticide pellet plant is welcomed by more and more people, featured by small investment and strong applicability. line adopts fine grinding hammer mill, which can crush various materials such as bread, wheat, peanuts, corn, etc. into reasonable and applicable sizes that cater to tastes of different animals. It is characterized by advanced design, beautiful appearance and stable performance. ★ Adopting SKF bearings, stable performance, low working temperature. ★ Using coupling directly drive, scientific and reasonable arrangement of hammers and clearance between hammer and screen, ensuring uniform fineness of the final products. ★ Integral base design, beautiful appearance, high structure strength. Mixing is a crucial procedure before making pesticide pellets, adding corresponding drugs(the good state of additive is powdery) into material evenly can directly affect the pellets quality and insecticidal efficiency. SSHJ series double-shaft mixer, your optimal choice, which has high mixing speed, short mixing time and ensure mixing process evenly and homogeneously. ★ High mixing speed, short mixing period, 30-120s/batch. ★ High mixing uniformity, CV≤5%, no products segregation. ★ Equip with return air duct, without dust leakage, environmentally friendly. 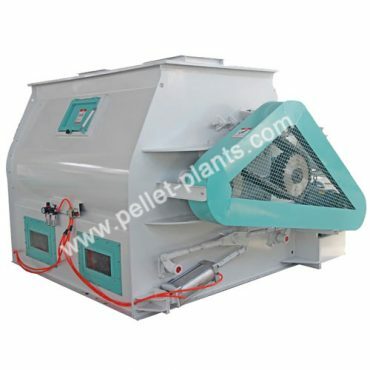 Pelletizing process plays a vital role in the production of pesticide pellets. 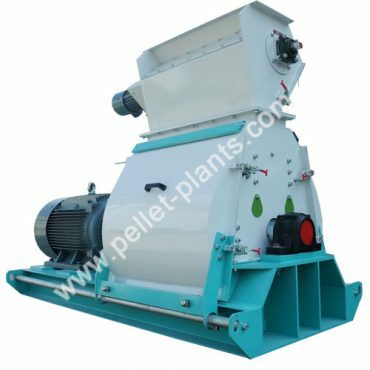 Differs from flat die pellet mill, ring die pellet mill is suitable for large scale industrial production. Featured with high quality pesticide pellets, large productivity and low consumption. ★ The main transmission adopts gear drive with high precision, which makes the production increase 20% compared with belt drive. ★ Adopt imported high-quality bearing & oil seal, ensure the whole machine run on high efficiency, stable performance, less noise. 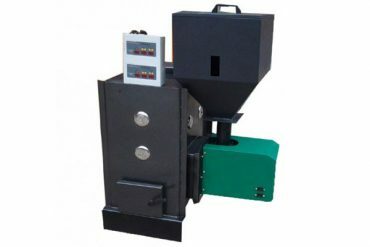 ★ The feeder adopts frequency conversion motor to guarantee the pellets quality. ★ A variety of hole diameters for selection, high-quality ring die with long service life. ★ Adopt international advanced snake-like spring coupling, featured by novel & compact structure, safe performance and low malfunction. 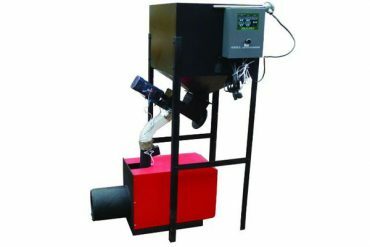 Counter-flow cooler is special designed for cooling larger size extruded pesticide pellets, which discharge from the pellet machine with high temperature and moisture. 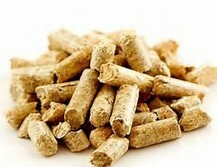 After cooling, pesticide pellets are conductive to handle and store. ★ Taking advantage of counter current cooling principle to cool the high temperature pellets, avoiding the direct contact with cold air and hot-pellet, preventing pellet surface cracking. ★ Using closed wind feeder, large inlet air area, remarkable cooling effect. ★ Low energy consumption, easy operation. 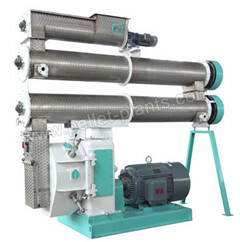 Rotary Sieve aims at sifting and classifying pesticide pellets or semi-finished products. After sieving, the quality of final products will be improved. ★ Belt-driven sieve plate for emphasizing balance and low noise. The end of the sieve plate is an improved elastic support with less vibration. ★ Enhanced machine base ensures equipment operation stable and safe. ★ Improved steel rope hanging structure avoids wire wear. 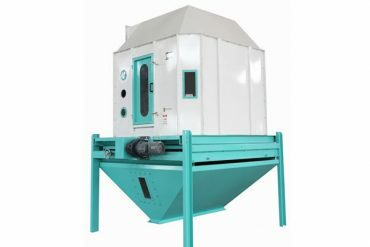 Automatic Packing system is designed to protect pesticide pellets from damp, dust and mildew. It is suitable for large and medium scale pesticide pellets production. ★ No weighing hopper structure can reduce the height, compact compact and convenient installation. ★ Using all-digital intelligent weighing control instrument, high weighing precision and speed, stable and reliable operation. ★ Reasonable design for easy maintenance. With the combination of centralized monitoring with on-site control, electric controlling cabinet can directly reflect the running status of all equipment, current and speed of major equipment in the production line. Featured by accurate handling, equipment failure alarm and fault location, it allows maintenance personnel rule out the failure and resume production quickly. 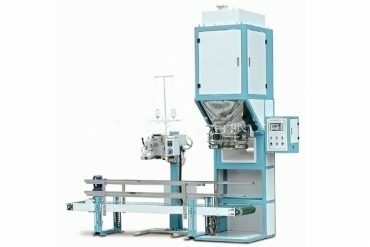 5 t/h pesticide pellets production line is designed for large and medium sized pesticide factory or industry for pest control. We are always ready to customize complete pesticide pellets line for any size. 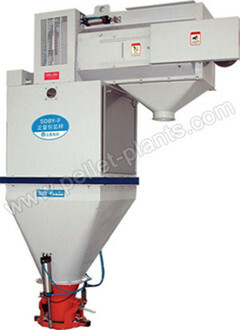 If you are interested in pesticide pellets plant, please contact us for details.